The tale of the Lotus Europa is an interesting one. It was originally conceived by Colin Chapman as a cheaper successor to the Lotus Seven, but during the designing phases it became larger and mid engined and a bit stranger. 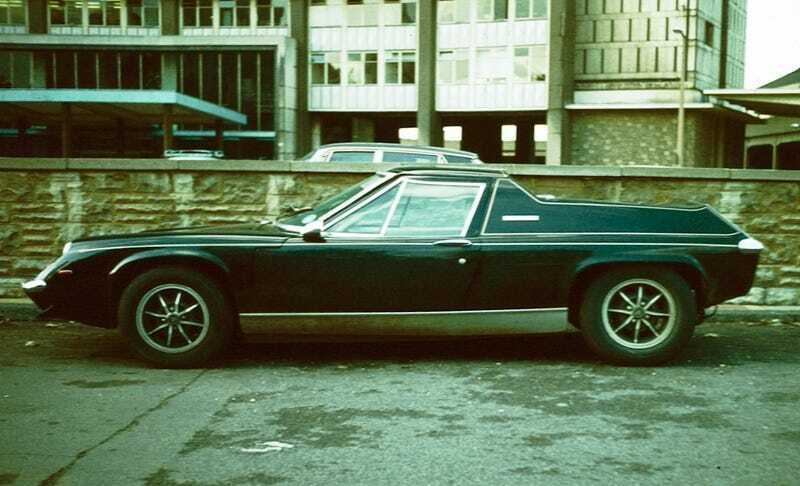 It was designed with flying buttresses that still look polarizing today, but it was very much a Lotus. It weighed under a ton, performed decently and was powered by a Renault engine until they backed out due to Jean Redele from Renault-Alpine explaining to them that supplying cheap engines to a manufacturer in competition was not the best of ideas. Finally, in 1972, the Europa was given a redesign as the Special. It was longer, taller, stiffer, and the flying buttresses had been removed, meaning for the first time you could see out the back. It also had a 105 BHP Elan engine, propelling it from 0-60 in 6 and a half seconds. This performance was aided by a new 5-speed Renault gearbox, responding to demands for a replacement for Lotus's somewhat antiquated 4-speed. It's a beautiful and unique car and remains my favorite Lotus.